Magnificent custom waterfront home with open water views of Tampa Bay and Downtown St. Petersburg. This exquisite home with over 5000 sq. ft. of luxurious living is located in the highly sought after waterfront community of Snell Isle. The large eat-in kitchen with it's granite countertops and updated professional appliances is perfect for the gourmet chef in your family. The opulent first floor master suite has magnificent open water views dual sinks a sumptuous jetted tub and his & her walk in closets. The large family room with fireplace and formal living room both take advantage of Tampa Bay water views and the separate dining room is perfect for entertaining. The second level consists of 3 spacious bedrooms and a multi purpose great room fireplace and large lounging deck. 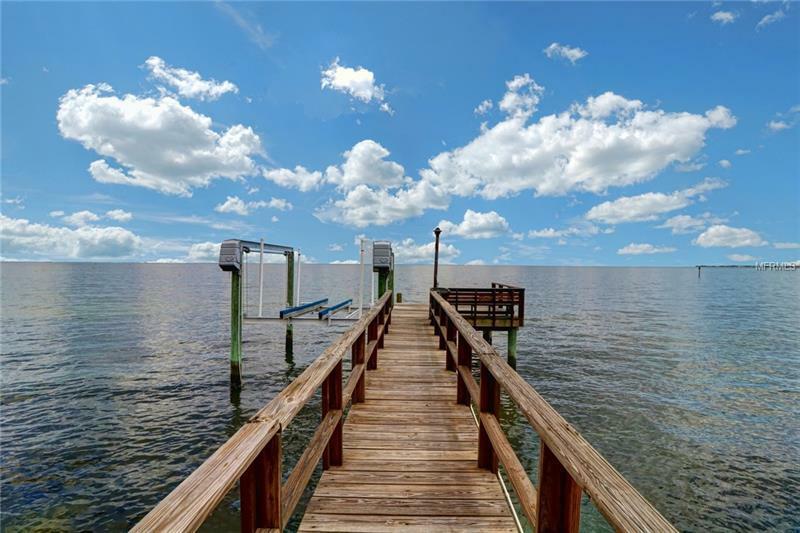 Relax by the heated pool & spa or enjoy fishing off your private dock with newer seawall. Take advantage of boating to Tampa or St. Petersburg restaurants or take a 25 minute ride to the Gulf of Mexico for world class deep sea fishing. This home has mature landscaping a circular driveway and is perfectly situated on an oversized lot with over 100' of Tampa Bay frontage. Located just a short bike ride to downtown St. Petersburg where you can enjoy fine dining museums art galleries and shopping boutiques. Call to schedule your showing today. Buyer to verify all square footage.